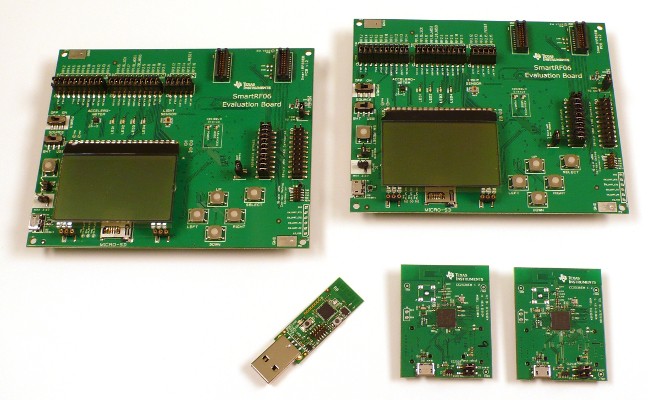 Support for the Texas Instruments CC2538DK board. The CC2538DK is Texas Instruments' developer kit for the CC2538 SoC MCU, which combines an ARM Cortex-M3 microcontroller with an IEEE802.15.4 radio. Activating this bootloader is NOT enabled if the flash content is in factory default state (e.g. after unboxing). To set the bits in the CCA accordingly you have to follow the guidelines found here. To manage this first time access you have to download the "Uniflash" tool at TI's website. If the path /sys/bus/usb-serial/drivers/ftdi_sio/ doesn't exist, you also have to load the module ftdi_sio by hand. Alternatively, you can install a udev rule that configures this on device connection, see this post on TI's E2E site for details. Be prevented that you'll need to disable Apple's System Integrity Protection to allow FTDI unsigned drivers to be loaded on your Mac. Afterwards you'll be able to install this driver. Peripheral MCU configuration for the CC2538DK board.